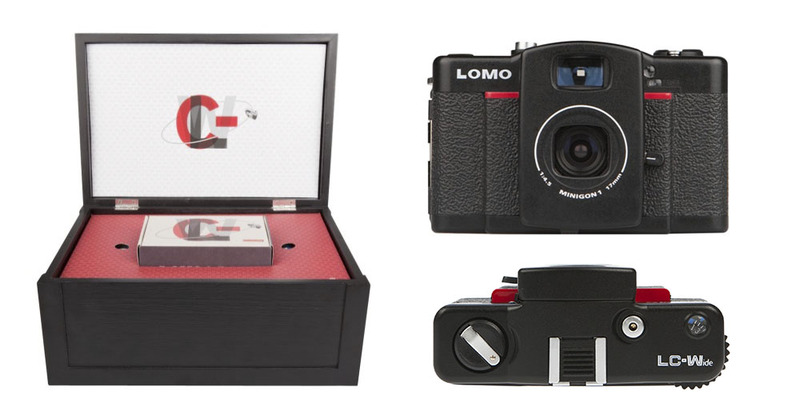 Derived from the LOMO LC-A, the LC-WIDE is a 35mm compact camera with a 17mm ultra-wide-angle lens with new features such as 3 shooting modes: full frame, square or half-format photography. For the branding of the camera I further developed the style of the LC-A to fit the new addition to the LOMO camera family. 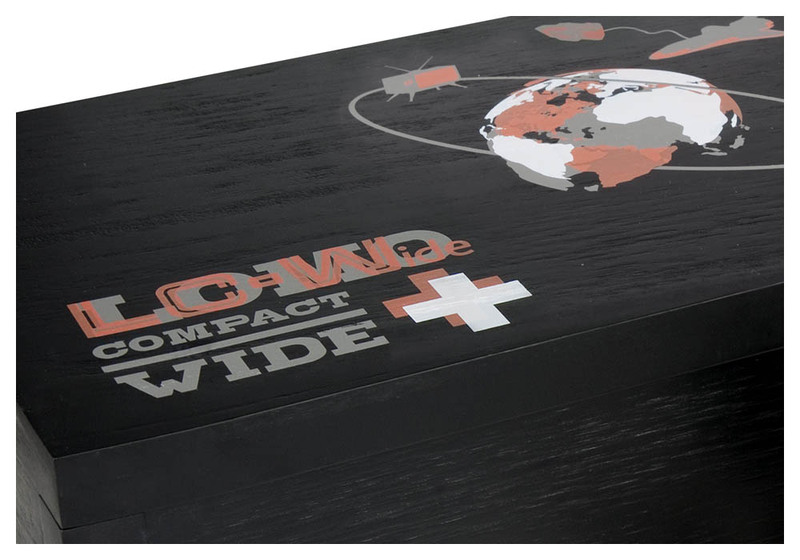 The camera comes in a black wooden box with printed graphics. The accompanying book, wide in itself, features tons of photos that show the wide angle versatility of the camera. The text is a loose collection of quotes, tricks and beautifully weird pieces of writing. Production-wise, the quality book features metallic Pantone colors, a transparent sleeve and a printed linen hardcover.